Beautiful Custom Lakefront Home w/3-Sided Brick, Covered Front Porch, Side Entry & 3-Car Garage. Located in the Award-Winning Brookwood School District! 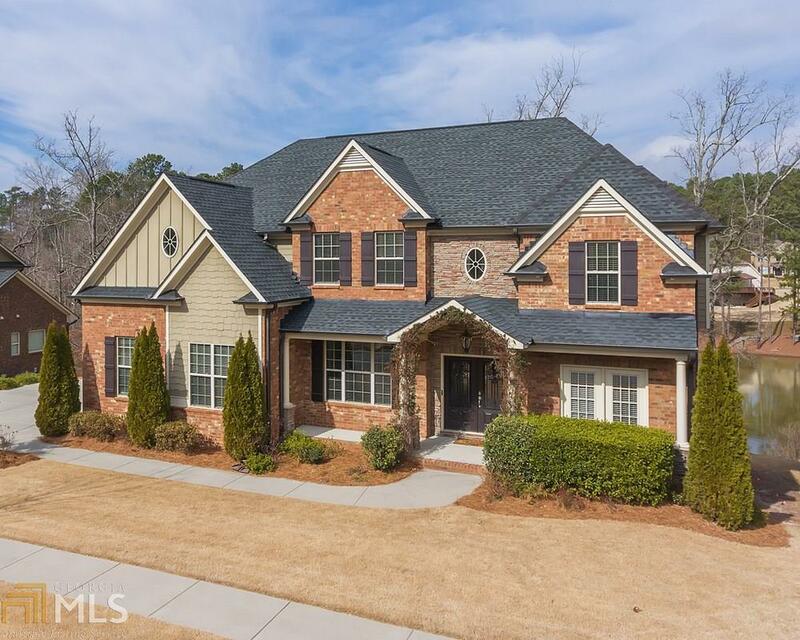 Open Floorplan w/Hardwood Floors, Gorgeous 2-Story Family Room w/Fireplace, Formal Living Room w/French Doors. Chef&apos;s Kitchen equipped w/Luxury Stainless Steel Appliances, Dual Ovens, Wall Mount Pot Filler, Granite Countertops, Travertine Tile & Murano Glass Backsplash, Island & Breakfast Bar. Owner&apos;s Suite w/Juliet Balcony overlooking Stunning Lake Views, Double Vanity, Soaking Tub, Separate Shower & Walk-in Closet. Finished Terrace Level w/In-law Suite, Home Theater, Game Room & Gym. New Paint, New Light Fixtures & Carpet. Situated in the Highly Desirable Estates at Nash Lake Swim/Tennis/Lake Community! Directions: I-85n Exit Pleasant Hill Rd And Turn Right. Take Ronald Reagan Parkway, Exit Five Forks Trickum And Make Right. Go 1.5 Miles And Turn Right Into Subdivision. Make Left And Then First Right Onto Preservation Cir. House Is On The Left.